But, I have to admit, by the end of the book, I found myself really liking Claire and feeling a lot of admiration for her for pulling herself out of the darkness in her life. 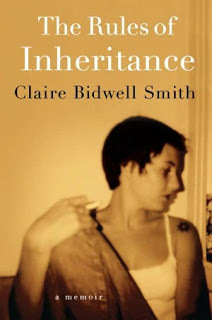 Her parents are both diagnosed with cancer when she’s 14 and her mother dies just after Claire begins college. Her father hangs on until she’s about 25, but after her mom’s death, Claire really loses herself, spiraling into grief and depression and heavy drinking. It is not very pleasant to read about. It’s written in an interesting way, with episodes of her life told in a non-linear format, organized instead into the five stages of grief. Frankly, I think the book is quite well-written and at the end I was a little taken aback by how smoothly it all came together, but getting there. Oh, it was a bit of a slog. Frankly, I’m still torn on whether or not the redemptive qualities of the end were enough to overcome how strongly I disliked the majority of the book. Can a good ending make up for an overall unpleasant read? Also, I feel like such a heartless jerk for disliking a book about a woman who lost both her parents before she was my age. Well, at least it wasn't A Child Called It! I just ordered this one. I'll let you know what I think. Oh yeah, and "A Child Called it" made me want to dye!